Do you need a space to garden? Whether you are dealing with a shady backyard, an apartment or rental house with no place to garden or you need more room to grow, a community garden rental plot can help solve these problems. Additionally, rental plots add the value of community-building as gardeners from around the community come to one place to grow, share stories, and learn more about each other and gardening. Each of our community garden sites has a diverse group of gardeners with varying levels of gardening skills and knowledge. You must be a member of KCCG to rent a garden plot. Plots are rented annually and prices vary depending on membership type and type of garden space rented. Garden rental plots fill up fast and often have waiting lists. Contact KCCG for more information on plots available. A $5.00 per plot/bed deposit is paid at the time of rental. Deposits can carry over for the next year if you choose to keep your plots or beds. Deposits are refundable if you should ever decide to no longer rent your plots or beds. To receive back your deposit please refer to the KCCG Garden Plot Deposit Policy handout you received when you rented your plot or bed for further instructions. KCCG has eight community garden sites with garden plots for rent. Where the Municipal Corrections Institution (city jail) once stood only a few years ago, is now home to a thriving community garden. With a rich history in agriculture from years of inmates farming and gardening on the land, we were proud to partner with the City of KCMO on the creation of this garden. The garden officially opened in spring 2012. Ground plots were quickly rented by community members. When KCCG closed its community garden site at the old ballpark in 2002, many of the gardeners went to Freeway Park to garden. Freeway Park, located on KCMO Parks and Recreation Land, offers an amazing panoramic view of downtown Kansas City. This garden is the home to some of our oldest and most dedicated gardeners. Located in the heart of urban KCMO, this garden is located on the athletic fields of what once was a KCMO public school. The building is now used as a teacher training and resource center and the surrounding grounds are used by community members for gardening. This garden opened in 2011 and is utilized primarily by residents of the Ivanhoe neighborhood. 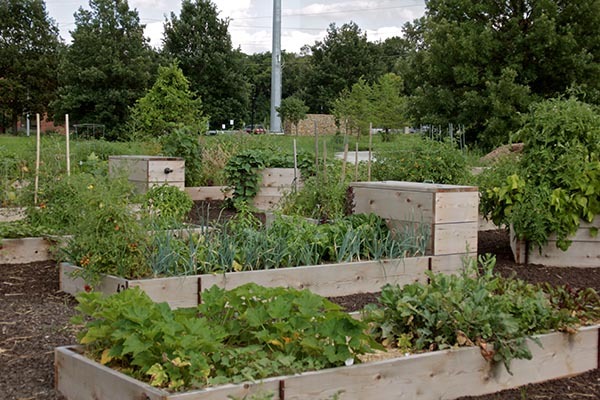 Located near the Kauffman Foundation Conference Center and the Anita B. Gorman Discovery Center, this raised bed garden and community orchard has a scenic view of Brush Creek and the Country Club Plaza. Built on Wyandotte County Parks and Rec land, Northrup Park Community Garden is KCCG’s first large-scale community garden in Kansas City, KS. With a large increase in the number of Latino gardeners gardening in Kansas City, KS, KCCG has partnered with the Latino Health for All Coalition to promote this garden to Latino Families and others living in the surrounding community. The Prospect Community Garden is located on the grounds of Blue Hills Neighborhood Services’ new building which provides office space and assistance for business incubators. This garden also has a large fruit orchard and communal fruit beds, added with the partnership of The Giving Grove. This all-raised bed garden was started in 2011 with the dual purpose of promoting healthy eating and physical activity to staff and community members and creating a calming space for patients to view through their windows or walk through. Half of the raised beds are rented by hospital employees and the other half are rented by community members. 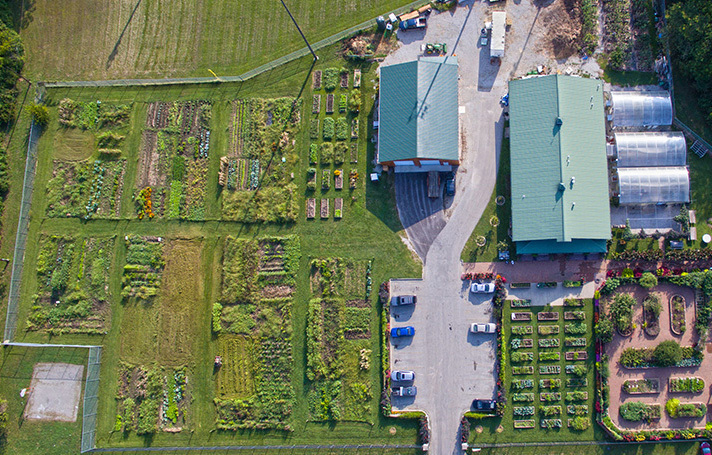 Located near the Kansas City Zoo and Lakeside Nature Center, this community garden site is also home to KCCG’s offices and the Beanstalk Children’s Garden. 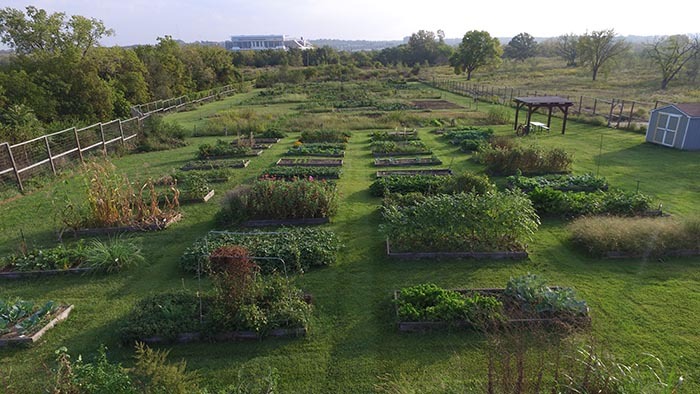 Swope Park Community Garden has been in operation since 2003. 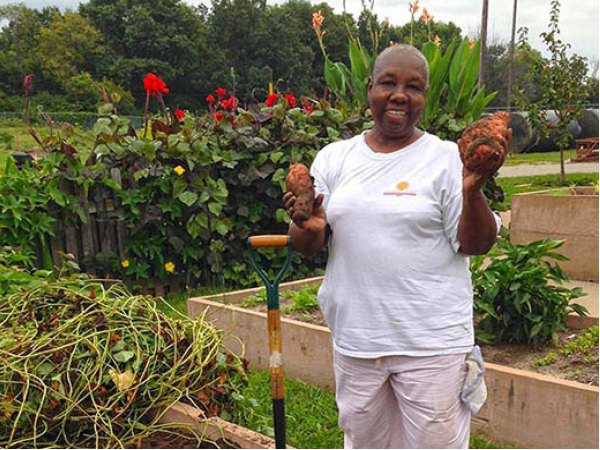 This garden, located on KCMO Parks and Recreation land, is home to a tight-knit community of gardeners with vegetable gardens producing a bounty of harvest each year.